It almost looks like a set of a Bond movie. Previously known as the world’s only underwater nightclub, Subsix has been transformed into a deep sea event space by architecture firm Poole Associates. Part of the Maldives five-star PER AQUUM Niyama resort, the space is 500 meters off the shore and six meters below the surface. 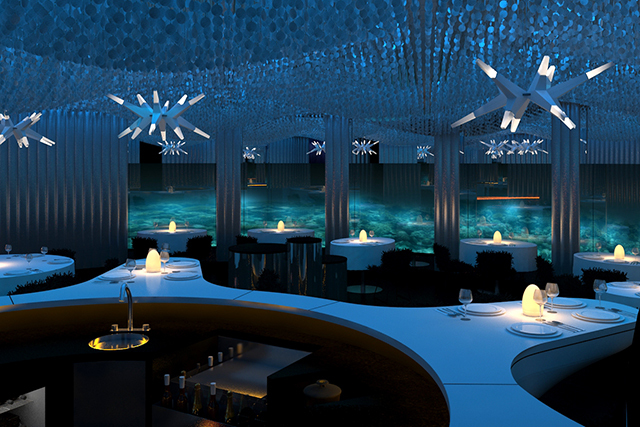 The ceilings dance with capiz shell chandeliers in a dining area populated with anemone-esque chairs and spectacular views of the coral and underwater life. 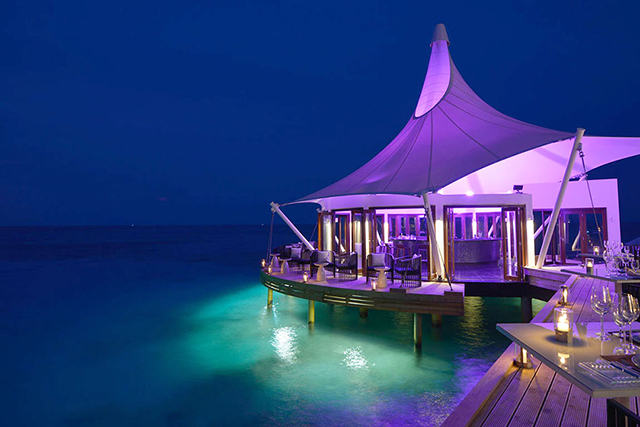 If you don’t feel like being submerged, you can still enjoy an acquatic dining experience at EDGE, the resort’s overwater restaurant.